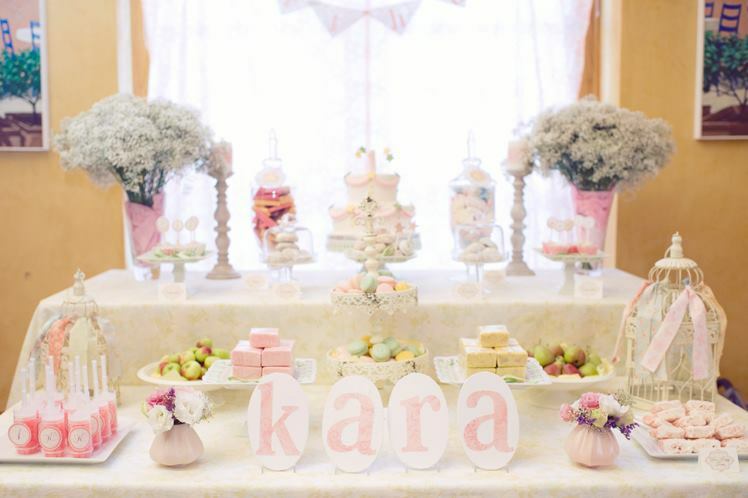 How could I not share this adorable STARRY SHABBY CHIC 1ST BIRTHDAY PARTY submitted by One Sweet Day / Christina Hur & Hanna Yang?! The birthday girls name is Kara! I just LOVE it all...not only the name :]. 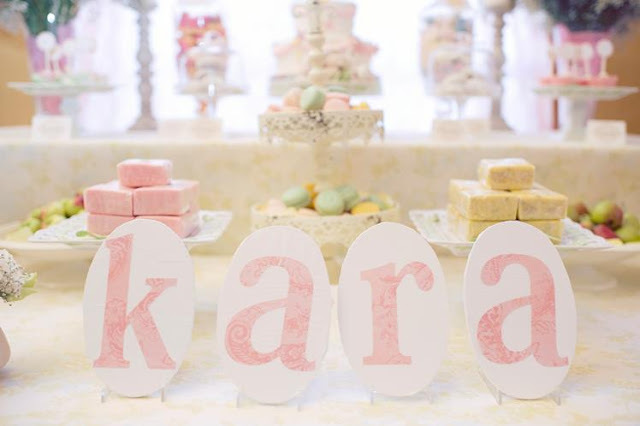 Here is what One Sweet Day had to say about the party-- "We wanted to create a 1st birthday celebration for Kara that was "pretty" and cute and girly all at the same time. 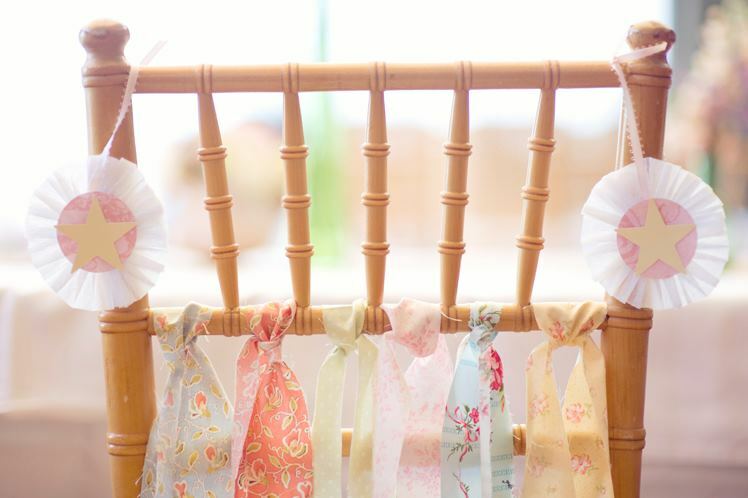 Starry Shabby Chic is a twist to a traditional shabby chic themed party. 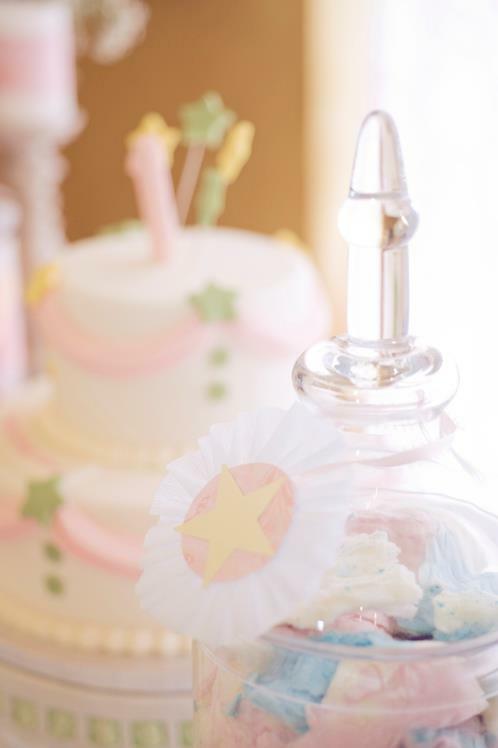 We used many design and color elements for a shabby chic design but also incorporate a "star" theme to it. As this was a first birthday celebration for a little girl, we used a lot of pink and yellow, with some touches of green and blue, all in muted pastel tones. Some cultural elements are also present as this was a Korean first birthday celebration. 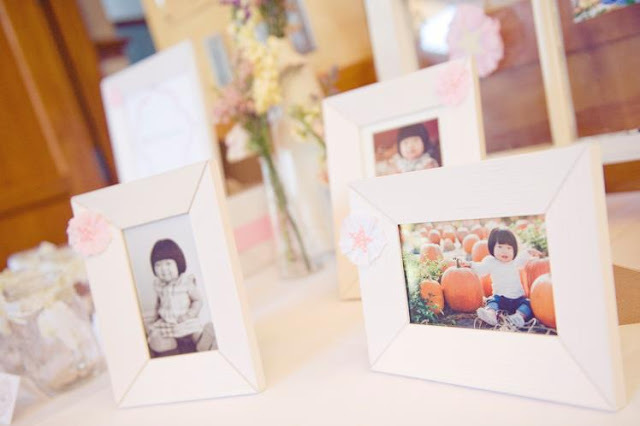 In the Korean culture, first birthdays are extravagantly celebrated (much like the quincenera). 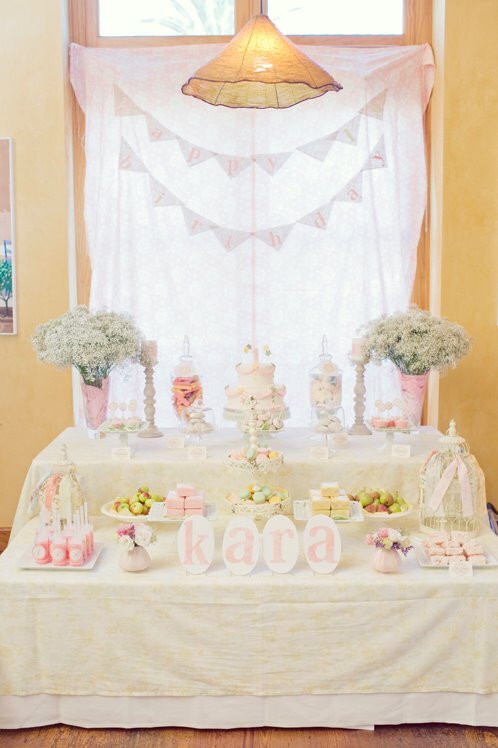 In order to celebrate the baby girl's 1st year, we created a photo table using an old window as the main accent piece! 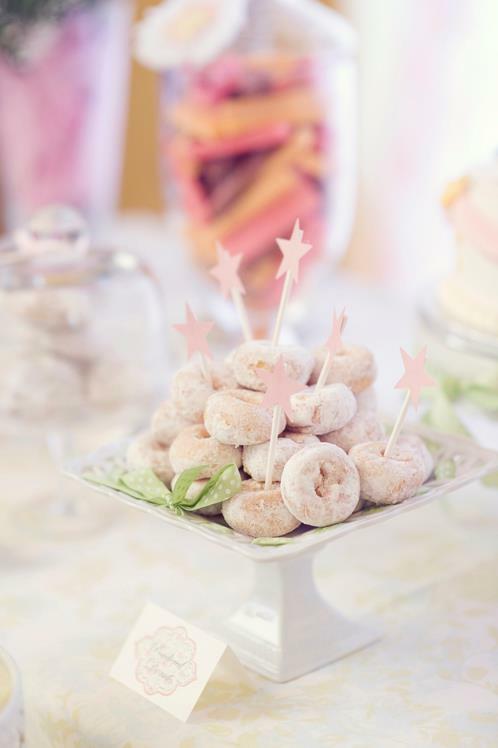 A traditional ceremony that takes place during a Korean 1st Birthday celebration is called a "doljabi." This is where several items (usually about 5-6) are laid out on a table or floor and a baby is left on the floor to go choose and item. The item that is chosen supposed to somewhat signify the baby's future. 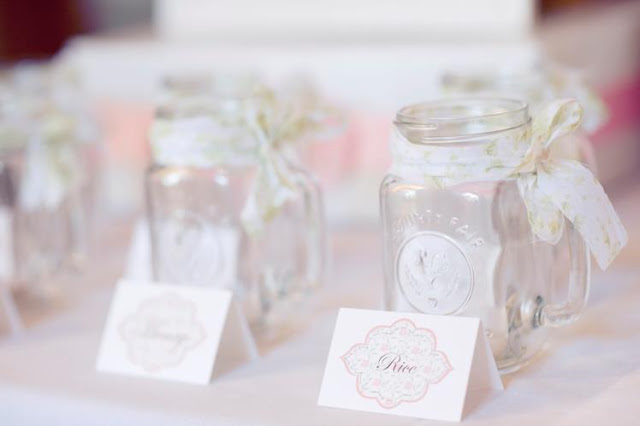 When the guests arrive, they get a raffle ticket and the guest can guess which item the birthday baby will choose! Once the doljabi is done, a winner is chosen from the winning cup and the parents provide the winning guest with a gift! We created these cups using a Mason jar cup with a handle and tying fabric around the neck of the cup. 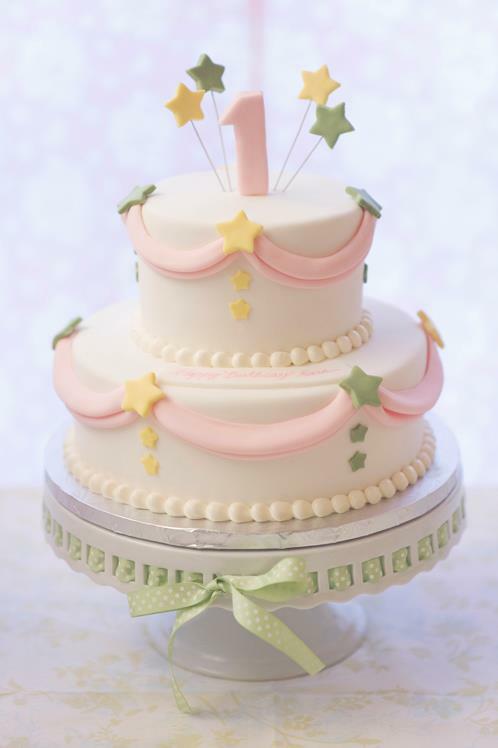 The birthday cake was designed by Layer Cake Bakery in Irvine, CA, which incorporated the shabby chic theme by using pastel tones and the pink drapes around the cake, and incorporated the star them with the cute fondant stars that popped out from the top. 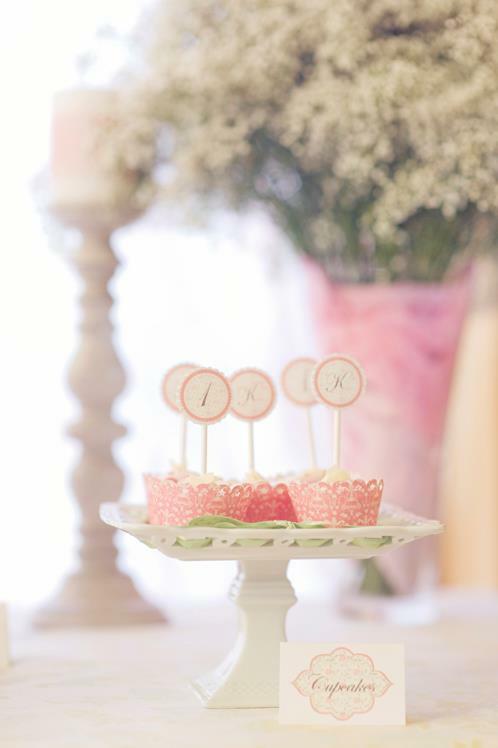 The sweet and marvelous cupcakes and macaroons were also prepared by Layer Cake Bakery. The white almond cookies, powdered donuts, strawberry / orange / chocolate wafer cookies, and cotton candy were all store bought, and Kara's mom made the strawberry Rice Krispy treats! 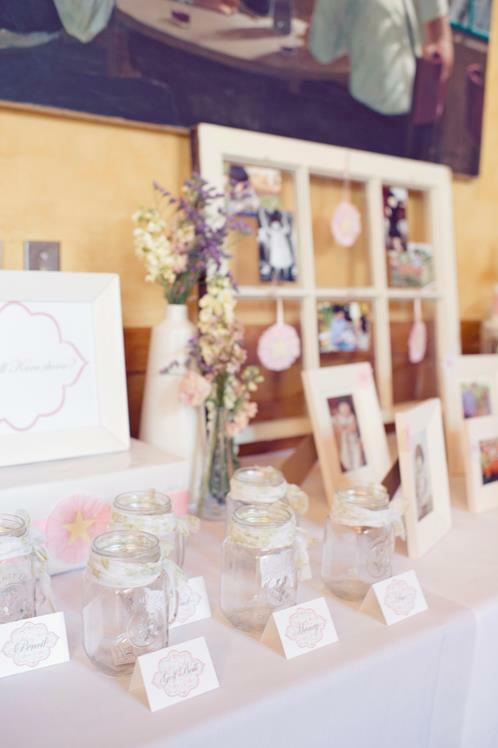 All decor and florals were designed and prepared by One Sweet Day. 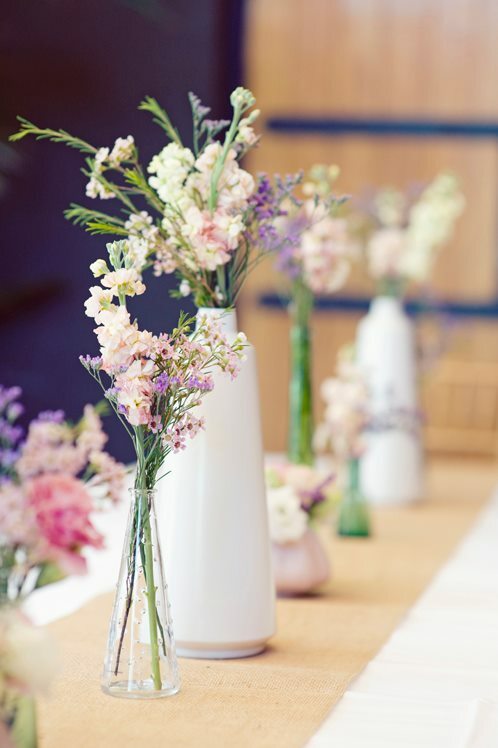 A pink and white floral patterned backdrop hung behind the main table, and light green and blue floral patterned fabric served as table covers. 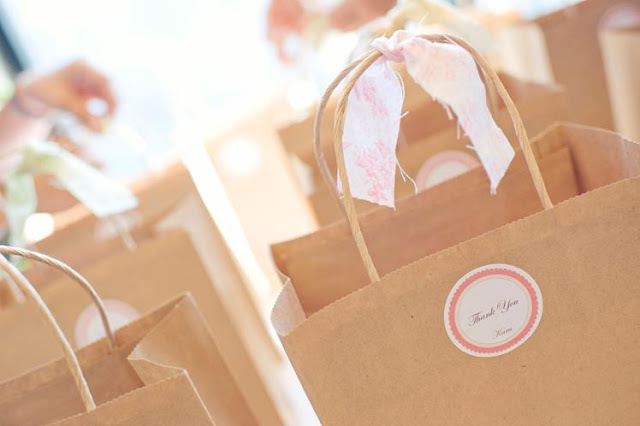 The toppers and labels were designed by One Sweet Day. The cupcake wrappers cut out with the Silhouette SD were a hit at the party! 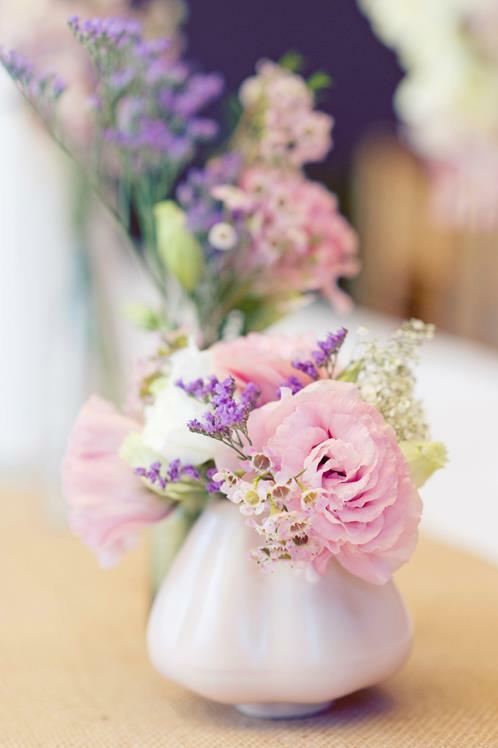 The vases were all purchased either at IKEA or at the Dollar Store, and arranged with spray roses, wax flower, and other wild field flowers. 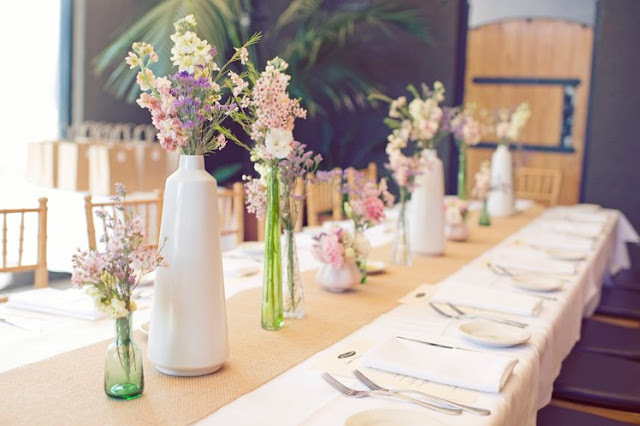 The main table was accentuated with baby's breath! Paper star ornaments were hand-made by One Sweet Day using a die cut star design and crepe paper rosettes tied on a ribbon. 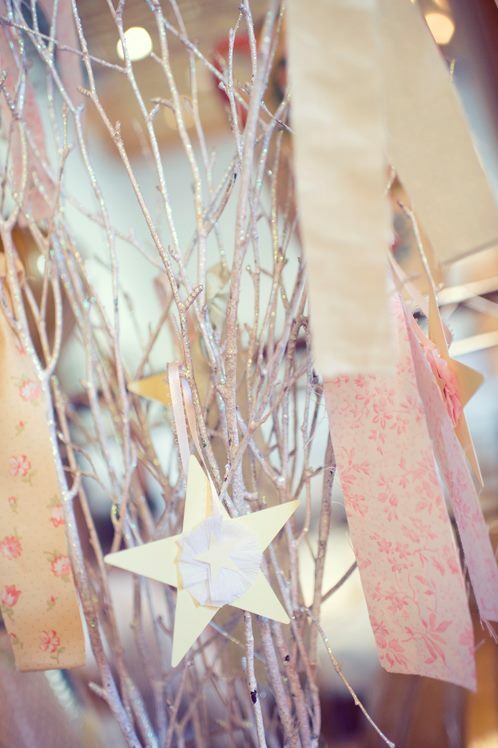 These were hung all over the party to accentuate the starry theme of the event! Each child guest left with a tin lunch pail which was packaged in a craft gift bag, tied with a fabric ribbon. Each lunch pail was filled with little goodies for the little guests! 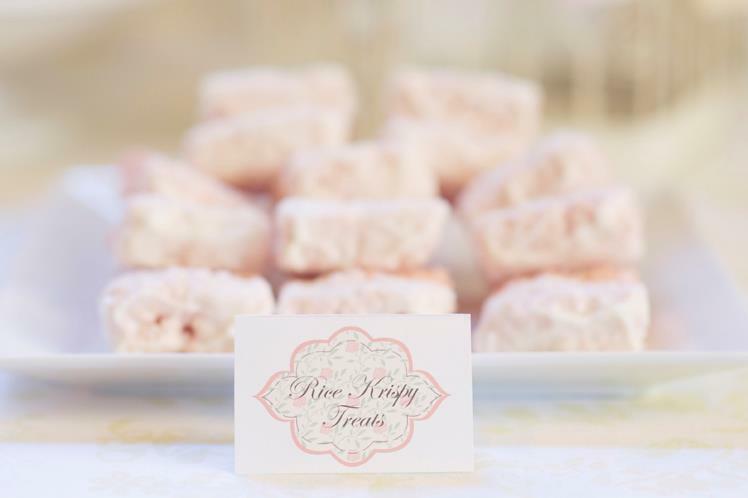 The adult guests were treated with a boxed rice cake, a Korean traditional dessert, by Shi Roo Dang." i adore everything about this!! I'm crying of happiness for this beautiful pictures. I love it! Thank you for your inspiration. 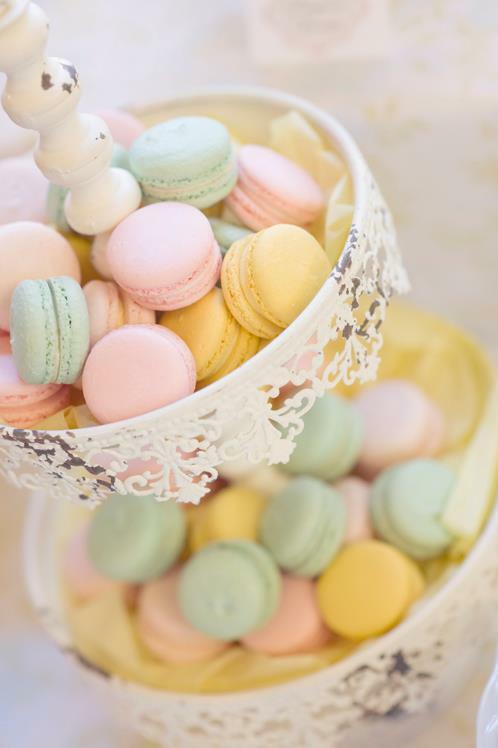 I love this sweet Shabby Chic party. Wow, all the details are beautiful! 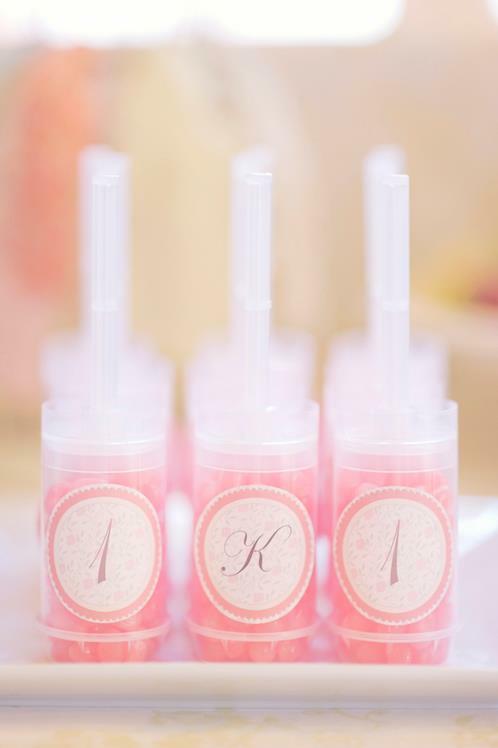 How simple and sweet which is perfectly fitting for a 1st birthday!!! Adorable! 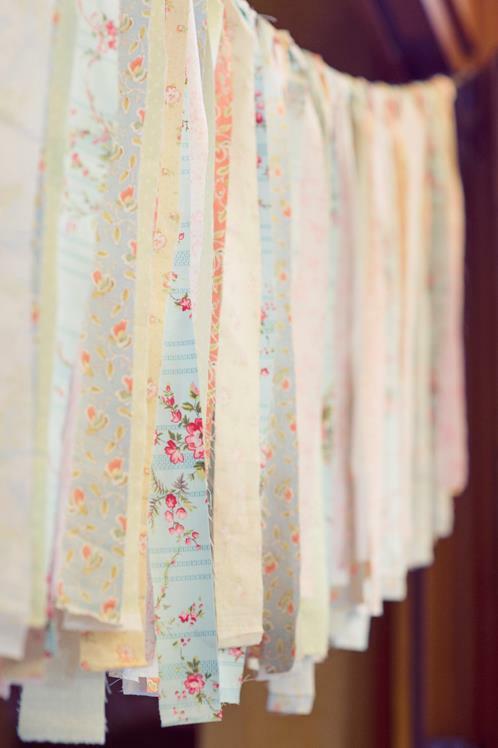 Love the shabby chic details! Such talented ladies!